These days, Iman and her husband Ahmed’s days are off to a busy start with a business to run, and a family to take care of. Shortly after rising Ahmed heads to their falafel stand to start preparations for the day. 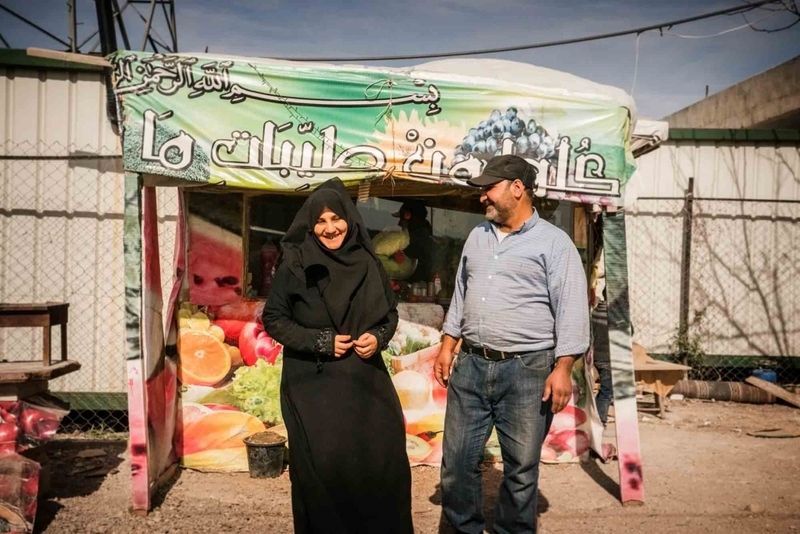 The kiosk is located within the informal tented settlement in the Bekaa Valley of Lebanon, where they have resided since fleeing their home in Ghouta, Syria six years ago. Iman starts her day by tending to the children and their home. 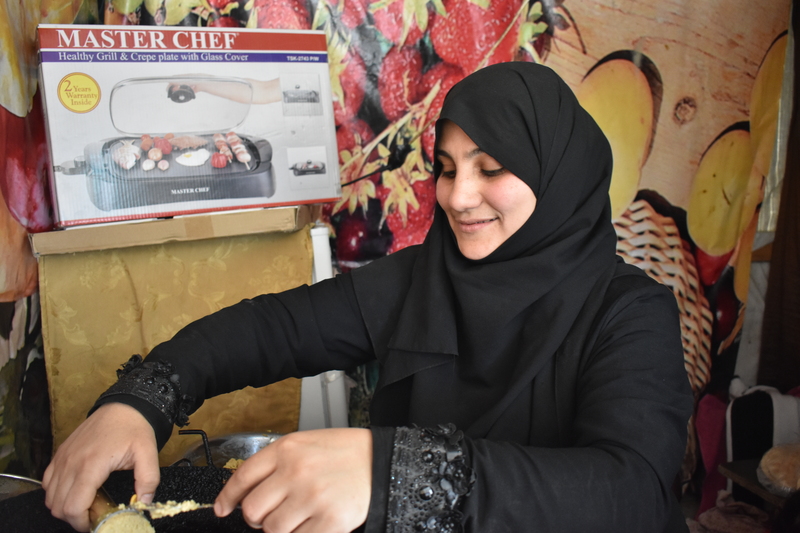 Once the kids are settled she heads to the kiosk to meet Ahmed where they get to work chopping, grinding, and preparing their homemade falafel and kabobs for the lunch rush. Iman makes the falafel, Ahmed grills the kabobs. Right now, life is manageable, peaceful, even hopeful. 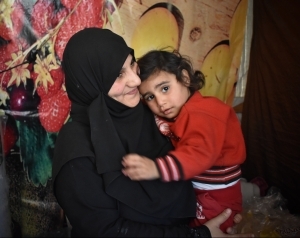 This is a major departure from the chaos and uncertainty Iman and Ahmed felt after being forced to leave their home in Syria and arriving in Lebanon with their four children in 2012. Their fifth child, a beautiful little girl named Joumana, was born in the camp after they resettled. The two-room tent that they occupy is the only home she has ever known. They could not find work after they arrived. Ahmed was badly injured due to enduring shrapnel in his leg from a bomb, and Iman had severe back problems that greatly disabled her mobility. The family racked up around $1,500 in debt, a source of great stress for both Iman and Ahmed. Anything outside the bare minimum for the children was out of the question. Iman shared that the other women in the camp banded together to help her family, explaining that “we all take care of one another, it is very much like an extended family.” While comforted by their support, Iman knew they had to do something to start providing for themselves. Over three-quarters of Syrian refugees in Lebanon now live on less than $4 per day and nearly 90% of refugee households are in debt. Beyond providing the household income, the kiosk has also helped them meet their neighbors. Iman explained that she loves getting to interact with the people in their community. The kiosk has become a hub for more than just food but also for friendship, laughter, and healing.